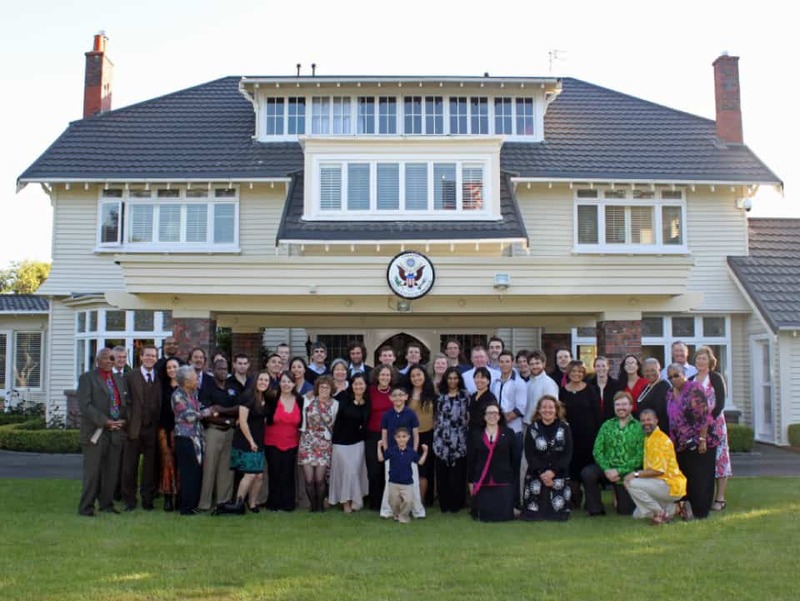 2011’s nine Fulbright US Graduate Students engaged with half-a-dozen of their New Zealand student counterparts in a final round of Future Partners Forum activities in November, culminating a year of bilateral youth interaction which began at the fourth annual NZ US Partnership Forum in February. The 15 students, from a total of 22 who were involved over the duration of the Future Partners Forum, gathered in Wellington on Thanksgiving Day, 24 November, for two days of joint activities. The programme included end-of-year reports by each of the Fulbright US Graduate Students, discussing their individual study and research projects and their broader Fulbright exchange experiences. 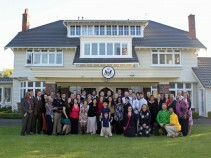 On the afternoon of the first day, the group visited Waiwhetū Marae in Lower Hutt for a poroporoaki (farewell ceremony), before continuing on to the US Ambassador’s residence nearby, where they were hosted for a traditional Thanksgiving dinner by the Ambassador, David Huebner, and his family. The following day, in a discussion facilitated by Shauna Mendez from the US Embassy, the students gave feedback on the Future Partners Forum and talked about how its focus, discussions and activities can be continued into the future. 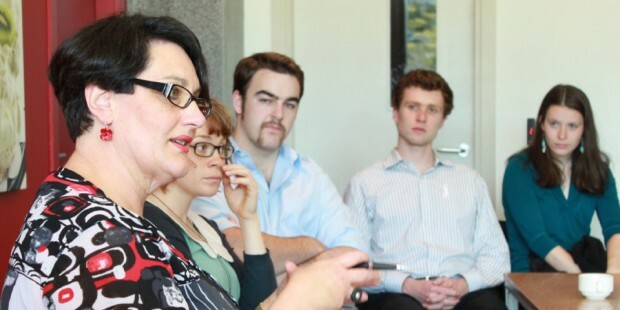 In the afternoon they were led in a leadership workshop by facilitator Robyn Cockburn, a locally-based consultant in the field of professional development. The workshop involved pairs of students visiting public artworks around the Wellington waterfront to reflect on their significance in relation to concepts of leadership. This was followed by a final reception for Future Partners Forum participants at the US Embassy, concluding a fruitful year of collaboration between them.